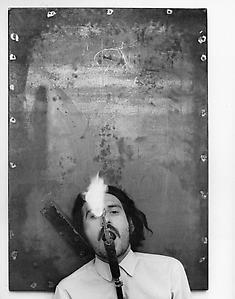 Kounellis​ (1936–2017​)​​ was born in Piraeus, Greece. World War II and ten years of civil war were backdrops to his childhood. 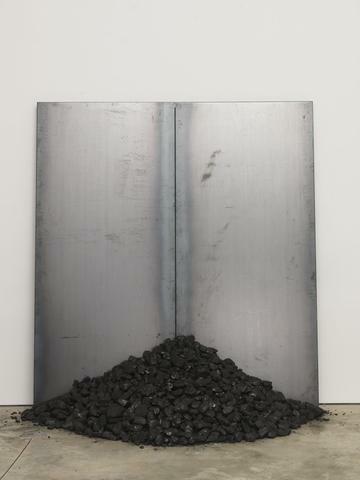 In 1956, he moved to Rome and by 1960 was an active member of the Arte Povera movement. Kounellis long combined art and history with the immediacy and tangibility of the present. His first New York solo show was in 1972. Recent exhibitions​ ​include: the Museum of Cycladic Art, Athens, Greece (2012); the Museum of Contemporary Art, Herning, Denmark (2009); the Neue Nationalgalerie, Berlin, Germany (2007); the MADRE Museo d’Arte Contemporanea Donnaregina, Naples, Italy (2006); and the Galeria Nazionale d’Arte Moderna, Rome, Italy (2002), among others.